Unusual cold wave triggers earliest ice formation on the Han River since December 12, 1946. Found this link from the drudge…. Yes, it is cold here in Korea these days. There was a cold spell in mid-November that lasted 7 days and earlier in December we had 8 days where either the daily low was lower than normal, the daily high was lower than normal, or both. ALBANY — Winter has yet to officially start, but snow is already piling up in some parts of upstate New York. According to the National Weather Service, the areas with the most snow are in Oswego and Lewis counties — which get clobbered each year with snow drifting across the eastern edge of Lake Ontario. And it’s the usual places: the tiny town of Redfield in Oswego County is leading the state with 82.6 inches of snow as of Friday. So at this rate, Redfield is on pace for its second straight national recognition: Last year it won the USA Today Network’s first annual Golden Snowdrift Award after getting 350.5 inches of snow — which equals more than 29 feet. As the sun gets successively more blank with each day, due to lack of sunspots, it is also dimming. According to data from NASA’s Spaceweather, so far in 2017, 96 days (27%) of the days observing the sun have been without sunspots. Across the entire electromagnetic spectrum, the sun’s output has dropped nearly 0.1% compared to the Solar Maximum of 2012-2014. With a strong high-pressure area covering upper Thailand and the South China Sea, the temperature will drop by 3-5 degree Celcius in the northern and central parts of the country – including Bangkok and its vicinity – during Dec 17-18, the Thai Meteorological Department said in its 11am announcement on Sunday. Mountaintops will be very cold with isolated frost. During Dec 19-21, another strong high-pressure area from China will reach upper Thailand. As a result, cold spells will continue and the temperature will decrease further by 2-3 degree Celcius. 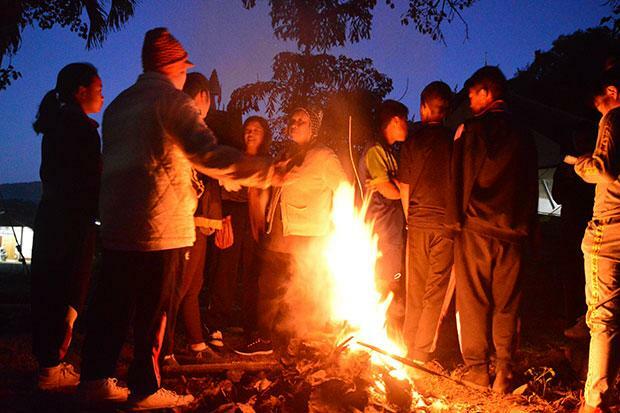 Residences of Ban Huak stand around a fire to warm themselves up as a cold snap grippled their village in Phu Sang district in Phayao on Thursday. In case I didn’t mention it, when it was snowing in Mexico, or shortly thereafter, there was also the earliest Northeaster that I can remember for a while that was all snow to Washington DC, I believe, all the way up the Northeast Coast. 4-8 inches. at least they’re not using your favorite word “cold snap” this time Bob!